What the fruc is fructose? It cops a lot of hate. But what’s the actual deal with fructose and is it really the enemy? 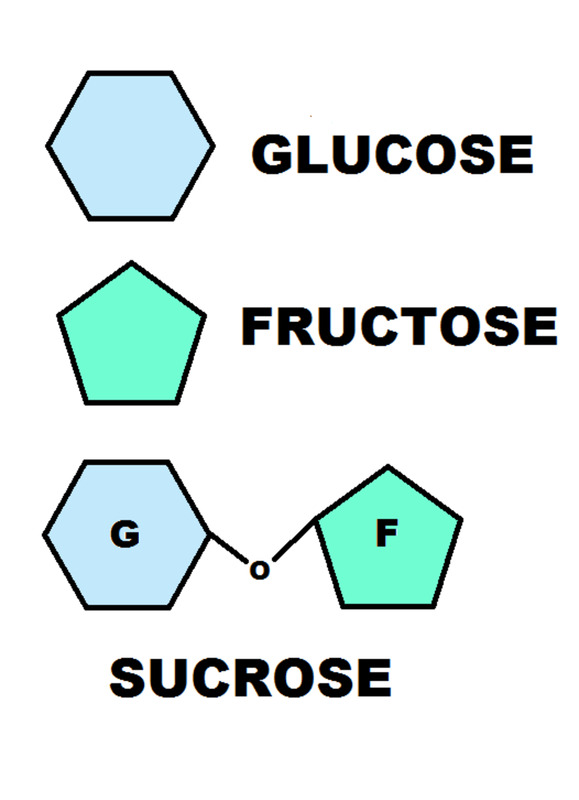 Fructose is a simple sugar. When buddied up with glucose they combine to become sucrose, or table sugar. While glucose is the main source of energy for our body’s cells, fructose needs to be converted to glucose in the liver before we can use it. If we take in an excess of fructose and energy (kJ or calories), it gets to the liver and stays there – stored as glucose or fat. Fructose is found naturally in some fruits, vegetables and honey. It’s also found in various sugary sweeteners like high-fructose corn syrup (HFCS) and agave syrup. Much of the fructose consumed in our diets comes from added sugars – think cakes, biscuits, chocolate, confectionery, juice and soft drink. HFCS is used rarely in Australia, mostly because cane sugar, which ultimately acts in a similar way, is cheaper and more readily available. These sweetened foods contain significantly higher amounts of fructose and are processed differently in our body to the fructose found naturally in fruit and veg. You can all feel where this is going. The fructose alone doesn’t deserve our hate. The excess energy (kJ or calories) combined with high fructose intake is when we can run into health issues. Before our sweet teeth teamed up with modern processing to mass-produce refined sugar, humans rarely consumed excessive fructose. Although fructose is present in some sweet fruits and vegetables, they provide relatively low amounts. The fructose derived naturally from whole fruit also has a different metabolic effect on the body compared to fructose added as sweeteners. This is mostly related to our friend dietary fibre that’s present in fruit and veg, which slows the uptake of sugar. Remove the fibre – in the case of juice – and you run into trouble. We’re also big fans of the huge array of phytonutrients that fruit and veg boast. The whole fruits can stay. Altered blood lipid profiles – in particular, elevated VLDL cholesterol that can accumulate around organs and contribute to cardiovascular disease. The storage of excess fructose as fat may lead to fatty deposits in the liver (potentially contributing to non-alcoholic fatty liver disease). Insulin resistance and increased risk of type 2 diabetes and obesity. Leptin resistance and alterations to body fat regulation – increasing risk of obesity. Elevated uric acid levels in our blood – this can lead to problems with gout and high blood pressure. Changes in gut permeability which may cause concern for inflammatory bowel disease and cancer. May slow brain and memory function. Fortunately, there is also a growing body of evidence that shows omega-3 fats may help to counteract the damage. Cheers, Nemo. Increased levels of inflammation and production of reactive oxygen species which can increase cancer risk. In particular, excessive fructose intake has been associated with increased colorectal, pancreatic, breast, prostate and liver cancer risk. Much of this is linked with increased rates of obesity and metabolic syndrome that excessive fructose intake may cause. While there aren’t yet cold, hard studies proving direct links for all of the above (this is very tricky in the world of nutritional science), the theoretical risks are being further studied to help us clarify the links. This won’t be the last you hear of the F-word. It’s important to remember that these health concerns are linked to excessive intake of fructose. This does not apply to whole fruit and vegetables. In general, fruit is a minor source of fructose in the diet compared to added sugars. To give you an idea, to reach excessive amounts of fructose naturally, you’d have to eat 15 pieces of fruit per day. Phwoar! Some people don’t absorb all of the fructose they eat. This means it passes through to the bowel undigested. Here, it can cause common symptoms of fructose malabsorption such as excessive gas, bloating and abdominal discomfort. If you’re challenged with fructose malabsorption and are not sure how to tailor your plate, make an appointment today. While it’s all too easy to blanket-hate fructose, it just ain’t fair. The health concerns of fructose stem from the Western diet supplying excessive energy (kJs, calories) and added sugars. The natural sugars found in fruits and vegetables are not to blame. Modern day Einstein’s are clarifying the link between excessive fructose intake and disease risk. But to us it seems a no-brainer. The end game is likely to be “go easy on sugary, processed foods”. We don’t need to wait for Einstein to tell us that. Ebert K, Witt H. Fructose malabsorption. Mol Cell Pediatr. 2016 Dec;3(1):10. Fedewa A, Rao SS.Dietary fructose intolerance, fructan intolerance and FODMAPs.Curr Gastroenterol Rep. 2014 Jan;16(1):370. Cozma A et al. Effect of fructose on glycemic control in diabetes: a systematic review and meta-analysis of controlled feeding trials.Diabetes Care. 2012 Jul;35(7):1611-20. Ter Horst K, Serlie M. Fructose Consumption, Lipogenesis, and Non-Alcoholic Fatty Liver Disease. Nutrients. 2017 Sep 6;9(9). Kimber et al. Consuming fructose-sweetened, not glucose-sweetened, beverages increases visceral adiposity and lipids and decreases insulin sensitivity in overweight/obese humans. J Clin Invest. 2009 May 1; 119(5): 1322–1334. Lê K, Ith M, Kreis R, Faeh D, Bortolotti M, Tran C, Boesch C, Tappy L. Fructose overconsumption causes dyslipidemia and ectopic lipid deposition in healthy subjects with and without a family history of type 2 diabetes.Am J Clin Nutr. 2009 Jun;89(6):1760-5. Nakagawa T et al. A causal role for uric acid in fructose-induced metabolic syndrome. Am J Physiol Renal Physiol. 2006 Mar;290(3):F625-31. Jegatheesan P, De Bandt JP. Fructose and NAFLD: The Multifaceted Aspects of Fructose Metabolism. Nutrients. 2017 Mar 3;9(3). Baena M et al. Fructose, but not glucose, impairs insulin signaling in the three major insulin-sensitive tissues. Sci Rep. 2016 May 19;6:26149. Shapiro A, Mu W, Roncal C, Cheng KY, Johnson RJ, Scarpace PJ. Fructose-induced leptin resistance exacerbates weight gain in response to subsequent high-fat feeding. Am J Physiol Regul Integr Comp Physiol. 2008 Nov;295(5):R1370-5. Shapiro A, Tümer N, Gao Y, Cheng KY, Scarpace PJ. Prevention and reversal of diet-induced leptin resistance with a sugar-free diet despite high fat content. Br J Nutr. 2011 Aug;106(3):390-7. Charrez B, Qiao L, Hebbard L.The role of fructose in metabolism and cancer. Horm Mol Biol Clin Investig. 2015 May;22(2):79-89. R. Agrawal, F. Gomez-Pinilla. ‘Metabolic syndrome’ in the brain: deficiency in omega-3 fatty acid exacerbates dysfunctions in insulin receptor signalling and cognition. The Journal of Physiology, 2012; 590 (10): 2485.